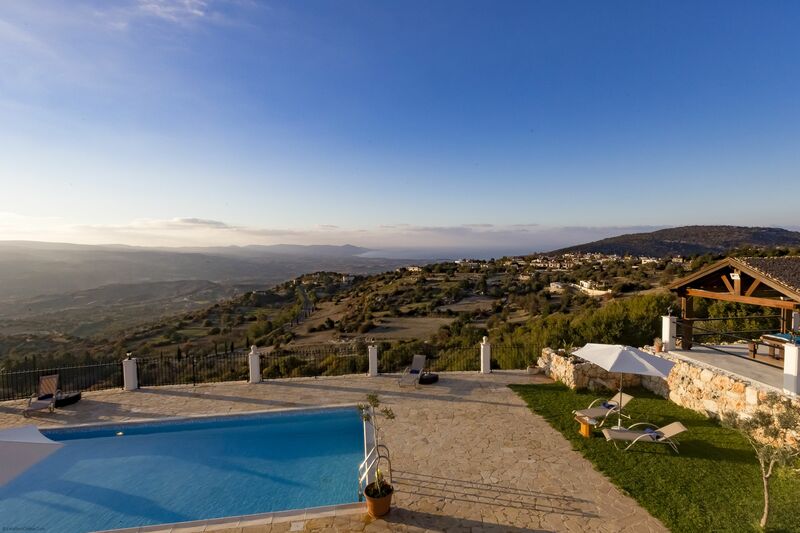 Carob Trees Villa is a newly re-furbished villa situated in an entirely private location on a wooded hillside in one of the most beautiful, unspoilt regions of Southern Cyprus. 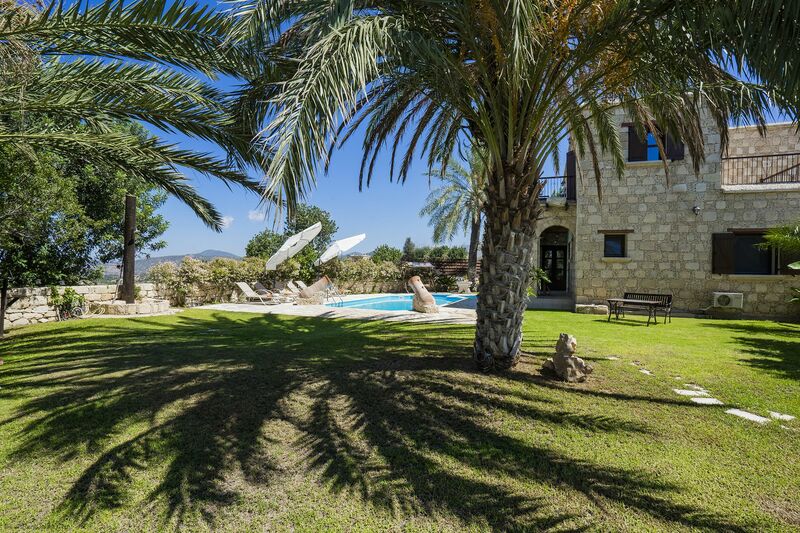 Carob Trees is a unique, privately built 5 bedroom villa situated in the hills behind Polis Chrysochous. 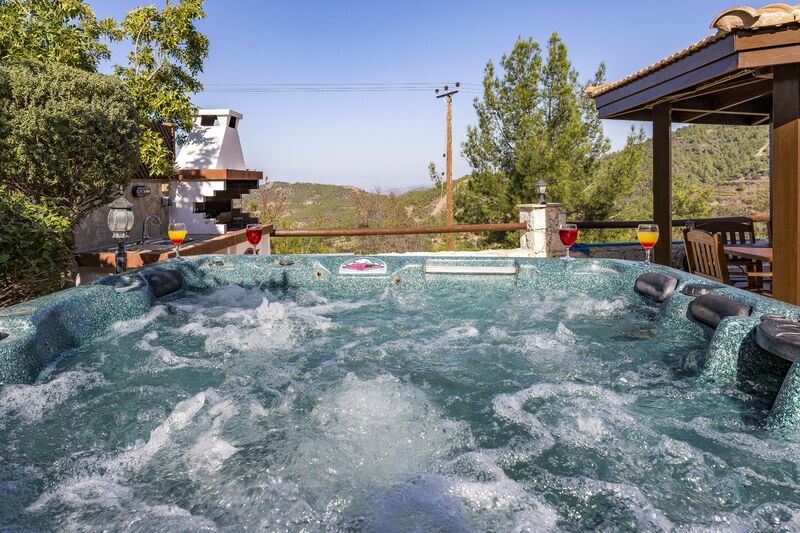 This luxuriously appointed villa commands beautiful unobstructed views of the Troodos Mountains, and really is one of a kind. Villa Leni is in a private elevated position and has a private heated pool, 4 bedrooms, 3 bathrooms, Jacuzzi/Hot Tub, Sea Views, Gazebo with Large BBQ & Clay Oven, Children's Playground, Modern Air-conditioning system, flyscreens, Satellite TV, Wi-Fi, Open Fire, Underfloor heating, kitchen with dishwasher and many extras and is walking distance to shops and tavernas. The list continues and shows why Villa Leni is the ideal holiday retreat by the Argaka coastline. 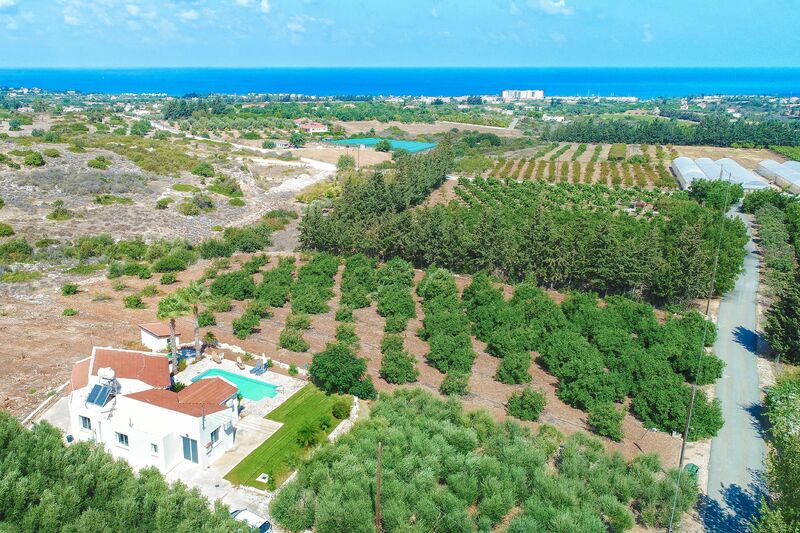 Villa Anthoullis is a lovely Cyprus single storey property, located in a secluded olive grove just above the popular and sought after resort of Latchi Cyprus. With amazing sea views and only a few minutes from the beach and town’s center this is a the perfect choice when considering a stay in the area. 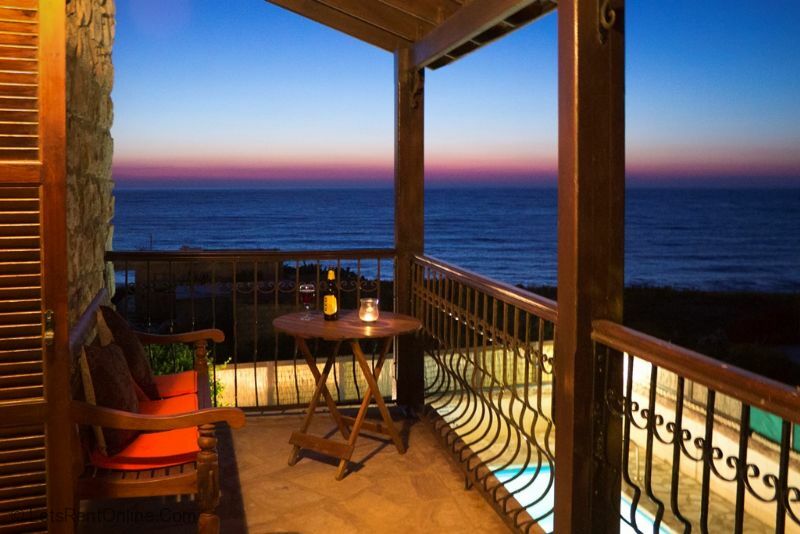 Villa Triteos in Peristerona near Polis in Paphos District has three bedrooms, three baths, and sleeps six. 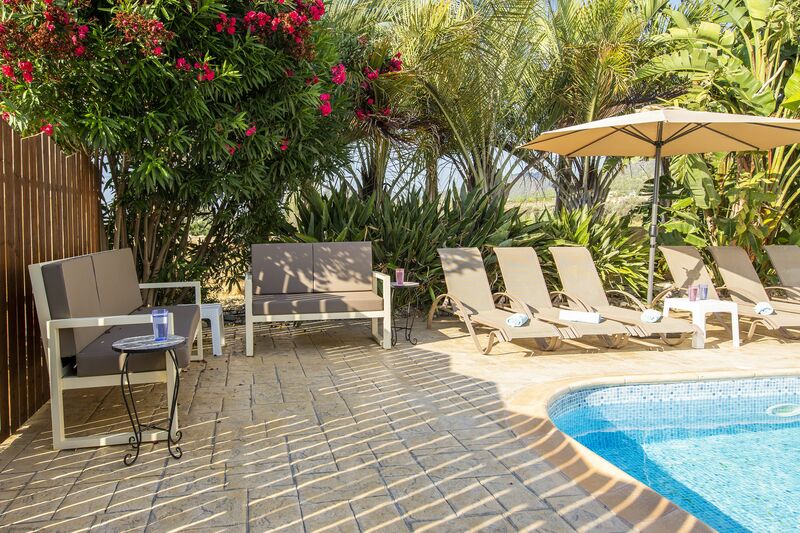 It has a private pool, children’s splash pool, full air-conditioning, washing machine, dishwasher, bbq, extensive grounds with a privately enclosed garden characterised by the stone built features and mature palm trees, (also hosts swings and a see-saw for the children), and all with views you'll remember forever. 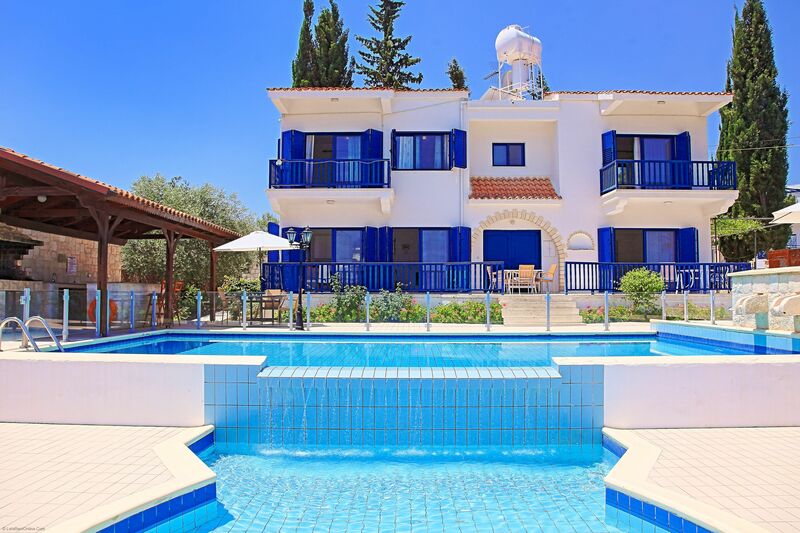 Profitis Elias Villa in Lysos near Polis in Paphos District has 4 bedrooms (all en-suite one with jacuzzi bath) and sleeps 8. It has a private pool, full air-conditioning, central heating, Satellite TV, Internet access, washing machine, dishwasher and enclosed garden. 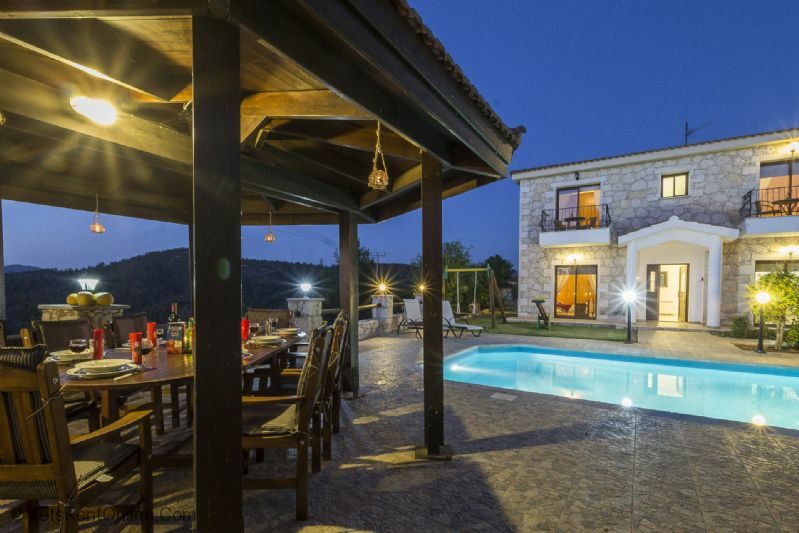 It's just 50m from the small but charming Paradisos Hills Hotel and Taverna (where villa guests are always welcome for breakfast, lunch and dinner) and less than 1km from the centre of Lysos with its local shops, bars and restaurants. Views you'll remember forever. 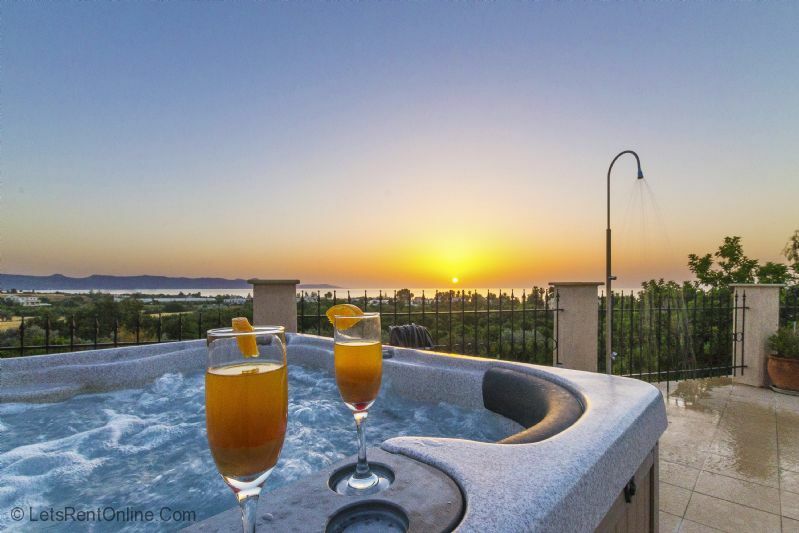 Villa Mandalarosa is a large luxury villa with beautiful surroundings, sensational sea and mountain views, located in Prodromi, Just 2.5km from the sandy beaches and amenities of Latchi, Polis. 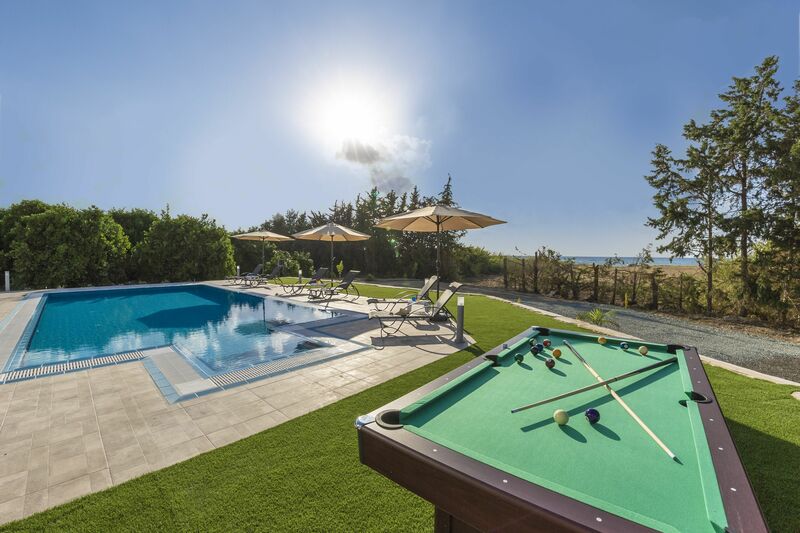 Villa Peristerona Hills near Polis in Paphos District is a idyllic haven with three bedrooms, three baths, and sleeps six. It has a 10m x 5m private pool with Roman Steps, air-conditioning, washing machine, dishwasher, bbq, wi-fi, Sat TV, extensive grounds with a privately enclosed garden characterised by the stone built features and trees, and all with views you'll remember forever. 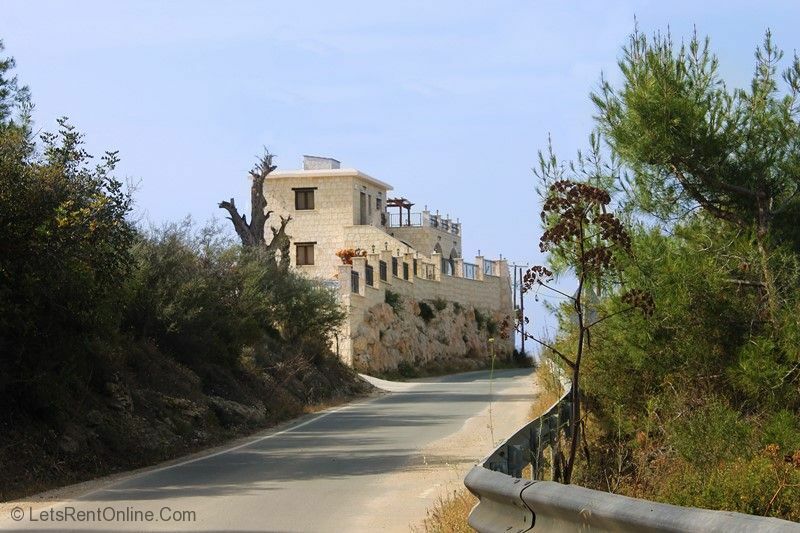 Just 500m from Peristerona Village Centre.